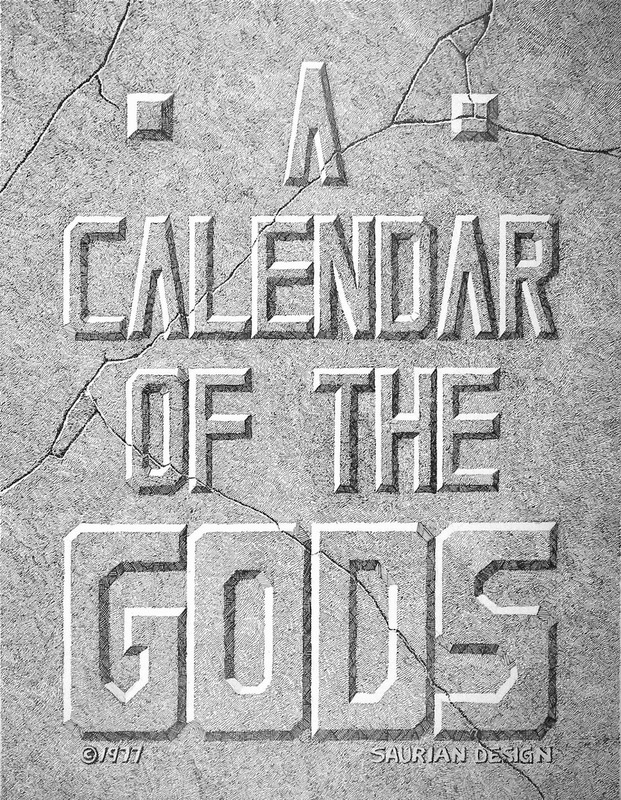 I was recently reminded that a project I worked on back in 1977 with my late brother Don -- "A Calendar of the Gods" (hereinafter referred to as CotG) -- which was originally intended to be used for the year 1978, has -- due to the cyclical nature of calendars -- now become useable again. 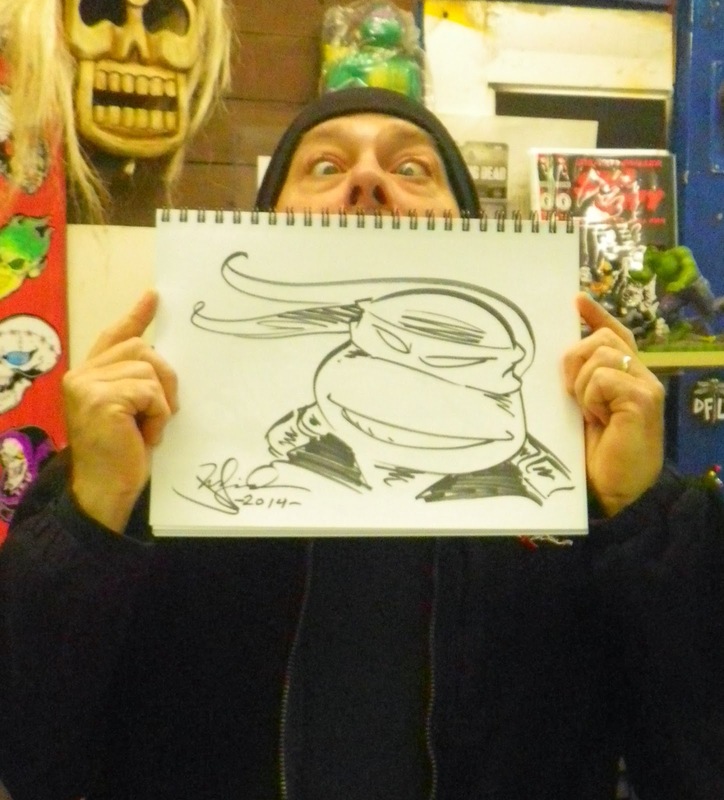 Given that they will shortly be able to used as calendars again, I'm thinking of offering them for sale via eBay. Counting the cover, each calendar contains thirteen drawings by me, with extra graphic designs by Don Laird. He also researched the various gods and did the text pieces describing them. This project was the first thing that Don and I did under the auspices of "Saurian Design", the graphic design business I began shortly after graduating from college. It never went anywhere, and -- sadly -- neither did the CotG. I think we sold a handful of them, and the rest of the print run -- which, if memory serves, numbered 150 copies, and was paid for by Don -- went into our respective closets or other appropriate storage areas. I think there were about half a dozen with my mother's stuff, and if I'm remembering correctly, I think I may have a few dozen more in my files (also known as "boxes of stuff I've lugged with me through multiple moves in three different states"). For anyone interested in publications with rare early Peter Laird artwork, this might be worth a look. I will post again here if this plan sees fruition. Labels: "A Calendar of the Gods"